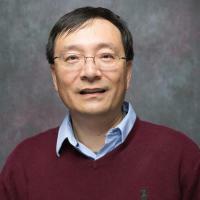 Research Description: Prof. Wu is interested in nonlinear dynamics of charged particle beams, coherent radiation sources, and the development of novel accelerators and light sources. One of his research focuses is to study the charged particle nonlinear dynamics using the modern techniques such as Lie Algebra, Differential Algebra, and Frequency Analysis. This direction of research will significantly further the understanding of the nonlinear phenomena in light source storage rings and collider rings, improve their performance, and provide guidance for developing next generation storage rings. The second area of research is to study and develop coherent radiation sources such as broad-band far infrared radiation from dipole magnets and coherent mm-wave radiation from a free-electron-laser (FEL). With this direction of research, he hopes to study the beam stability issues, in particular, the single bunch instabilities in the storage ring, develop diagnostics to monitor and improve the stability of the light source beams, and eventually develop novel means to overcome instabilities. These areas of research will provide foundations for developing a femto-second hard x-ray Compton back scattering radiation source driven by a mm-wave FEL - a next generation light source. Gai, M; Schweitzer, D; Stern, SR; Young, AH; Smith, R; Cwiok, M; Bihalowicz, JS; Czyrkowski, H; Dabrowski, R; Dominik, W; Fijalkowska, A; Janas, Z; Janiak, L; Korgul, A; Matulewicz, T; Mazzocchi, C; Pfützner, M; Zaremba, M; Balabanski, D; Gheorghe, I; Matei, C; Tesileanu, O; Zamfir, NV; Ahmed, MW; Henshaw, SS; Howell, CR; Mueller, JM; Myers, LS; Stave, S; Sun, C; Weller, HR; Wu, YK; Breskin, A; Dangendorf, V; Tittelmeier, K; Freer, M, Time Projection Chamber (TPC) detectors for nuclear astrophysics studies with gamma beams, Nuclear Instruments and Methods in Physics Research Section A: Accelerators, Spectrometers, Detectors and Associated Equipment (January, 2019) [doi] [abs]. Li, B; Hao, H; Li, JY; Wu, YK, Transverse beam profile measurement system for the Duke storage ring, Nuclear Instruments and Methods in Physics Research Section A: Accelerators, Spectrometers, Detectors and Associated Equipment, vol. 911 (December, 2018), pp. 45-50 [doi] [abs]. Sikora, MH; Ahmed, MW; Banu, A; Bartram, C; Crowe, B; Downie, EJ; Feldman, G; Gao, H; Grießhammer, HW; Hao, H; Howell, CR; Karwowski, HJ; Kendellen, DP; Kovash, MA; Li, X; Markoff, DM; Mikhailov, S; Popov, V; Pywell, RE; Silano, JA; Spraker, MC; Wallace, P; Weller, HR; Whisnant, CS; Wu, YK; Xiong, W; Yan, X; Zhao, ZW, Compton scattering from He 4 at 61 MeV, Physical Review C, vol. 96 no. 5 (November, 2017), American Physical Society (APS) [doi] [abs]. Li, W; Hao, H; Mikhailov, SF; Popov, V; Li, W-M; Wu, YK, Compensation for booster leakage field in the Duke storage ring, Chinese Physics C, vol. 41 no. 1 (January, 2017), pp. 017002-017002, IOP Publishing [doi] . Li, W; Hao, H; Mikhailov, SF; Xu, W; Li, J-Y; Li, W-M; Wu, YK, Study of magnetic hysteresis effects in a storage ring using precision tune measurement, Chinese Physics C, vol. 40 no. 12 (December, 2016), pp. 127002-127002, IOP Publishing [doi] . Prof. Wu is interested in nonlinear dynamics of charged particle beams, coherent radiation sources, and the development of novel accelerators and light sources. One of his research focuses is to study the charged particle nonlinear dynamics using the modern techniques such as Lie Algebra, Differential Algebra, and Frequency Analysis. This direction of research will significantly further the understanding of the nonlinear phenomena in light source storage rings and collider rings, improve their performance, and provide guidance for developing next generation storage rings. The second area of research is to study and develop coherent radiation sources such as broad-band far infrared radiation from dipole magnets and coherent mm-wave radiation from a free-electron-laser (FEL). With this direction of research, he hopes to study the beam stability issues, in particular, the single bunch instabilities in the storage ring, develop diagnostics to monitor and improve the stability of the light source beams, and eventually develop novel means to overcome instabilities. These areas of research will provide foundations for developing a femto-second hard x-ray Compton back scattering radiation source driven by a mm-wave FEL - a next generation light source.